Do you want media coverage for your business, event or personal brand? If you answered yes to the question ‘Do you want media coverage for your business, event or personal brand?, I have the solution for you. Media Bootcamp, created by two working journalists who will give you all the tools, information and insider knowledge you need to ace it. They’ve even got a free course for you (all details are below), but let me first introduce the two stars of the show: Ginger Gorman and Sue White, who I’ve had the pleasure of working with over the past year. 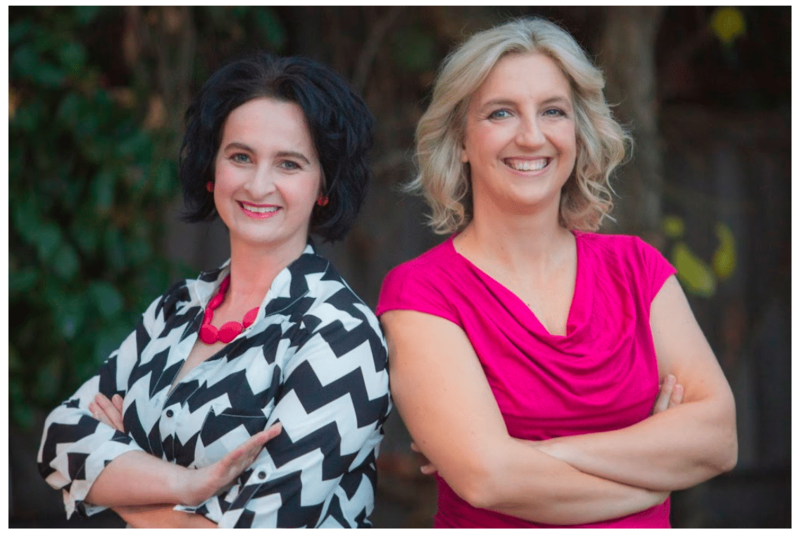 I love sharing client success stories – and this is definitely one of them..
Ginger Gorman and Sue White: acclaimed journalists and co-founders of Media Bootcamp. Sue and Ginger asked me to help them turn their popular face-to-face program into a first-class online course and holy moly is it one comprehensive set of learnings! Media Bootcamp is 40 years of experience wrapped in a professional, engaging and information-packed online media training format. They are super generous in sharing their knowledge via insider tips, real world examples, activities and demonstrations designed to ensure their students get real world results. If you want an insight into exactly what’s covered, check out their curriculum here. I’d highly recommend Media Bootcamp to anyone who wants to REALLY understand how to get publicity for their business, or be awesome in their next media interview. Even though I’ve been a fly on the wall through the many months of development for this one, I’m so impressed I’m going to be doing it myself start to finish! I’ve also had 4 clients do this training with Sue and Ginger (small world hey?) and they have all raved about how practical the training is, and how much they got out of it. Need any more reasons to check this course out? If you want a complimentary taster, try Media Bootcamp EXPRESS and the Media Cheat Sheet. The Express option gives you three complimentary lessons and will give you a good insight into what learning with Sue and Ginger is like. If you just want to learn how to nail an interview, check out the Nail the Interview Online course. If you just want to learn how to pitch like a professional, check out the Pitch Like a Pro Online course. If you’re ready for the whole shabang, (which includes the two courses on nailing your interview and pitching like a pro,) then Media Bootcamp Online is for you!